Tauranga-based global engineering experts Oasis Engineering successfully presents at AltFuels México 2019. Felipe also had his own presentation at this prestigious event, “I presented about the importance of having high flow products in the CNG operations/stations and having high quality products which ensure safety for the operators,” adds Felipe. As Gold Sponsors of this event, Felipe got to showcase Oasis Engineering’s state-of-the-art products & technology and networking with top industry professionals. More gas volume transfered in less time. Normalise the flow within the system, minimizing the temperature rise and getting cylinders fuller. Restrictions produce back pressure, increase gas velocity and add heat to the gas. “All these factors result in longer filling times and less volume of gas in the cylinders,” advises Felipe. 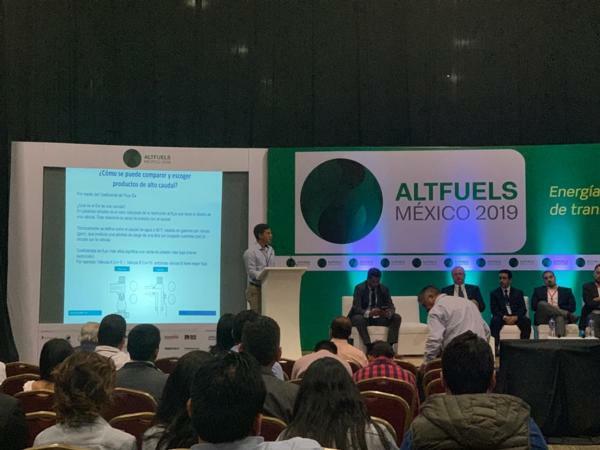 AltFuels México is one of the industry’s largest events which includes first level conferences and exhibitions led by various organisations from all around the world. The event had a focus towards the topic of developing clean fuels for all types of transport and industry with discussions involving Natural gas, NGV, LNG, CNG, Biogas, Biomethane, Dual Fuel, Hydrogen, Hybrids, Electrics and others.